We planned this African Safari Train Tour for a honeymoon couple who wanted to go on an adventure in South Africa and Victoria Falls, but didn’t want to eliminate luxury. We sent them on an epic, 14-day luxury rail expedition through South Africa, Botswana, Zimbabwe, Zambia, and Tanzania on the famous Rovos Rail. Their African Safari Train Tour began in Cape Town. 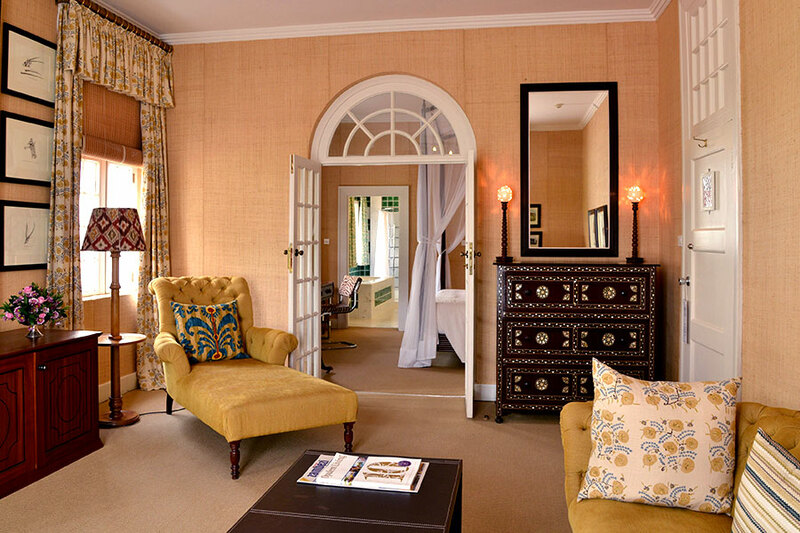 They boarded the luxurious Rovos Rail and settled into their Deluxe Suite, which is sumptuously furnished and includes a lounge area, writing desk, en-suite bathroom with shower, and in-room safe. 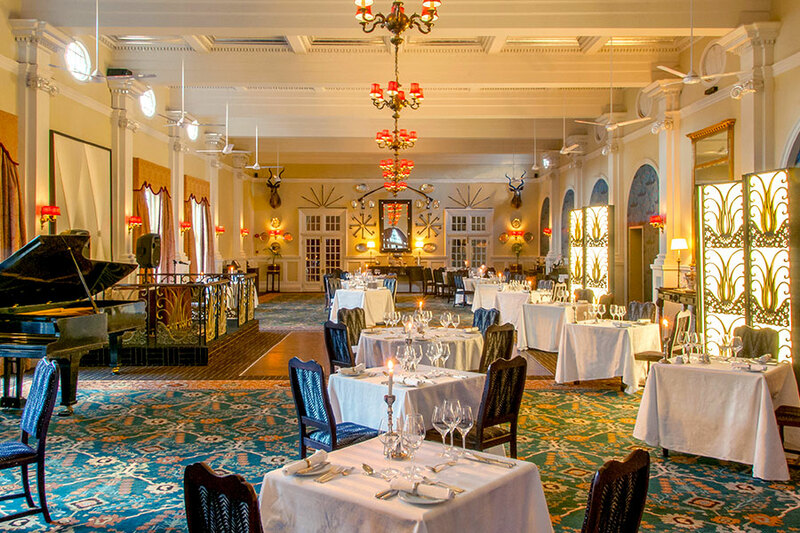 Each evening meal in the dining car is a magnificent event where guests dress in their absolute finest and enjoy delicious gourmet dinners, along with a selection of the finest South African wines. The Rovos Rail took them to the historic village of Matjiesfontein, the diamond town of Kimberley, and the bustling city of Pretoria in South Africa. They enjoyed a short tour in each stop before heading back to the train to continue their African Safari Train Tour. 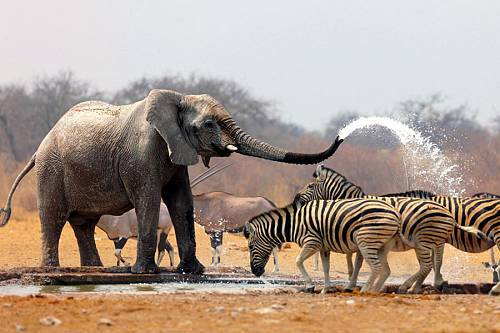 Before departing South Africa, they enjoyed a luxury African safari in the Madikwe Game Reserve. 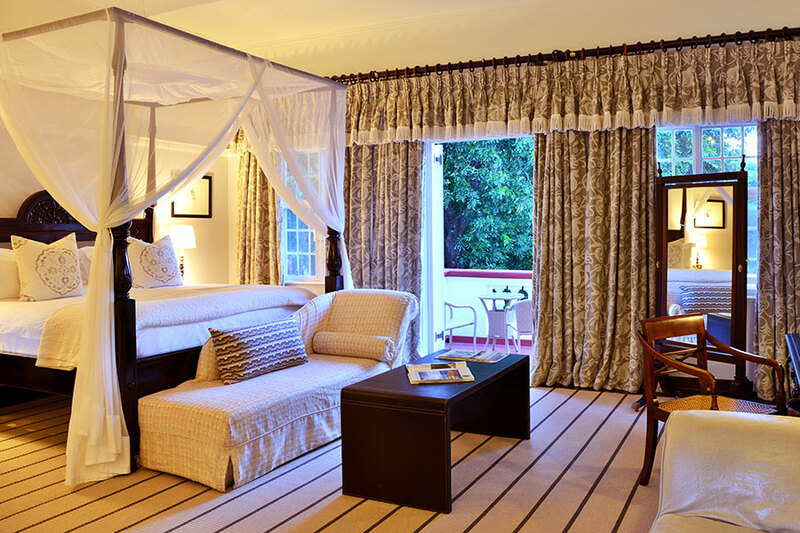 This package allows you to stay 2 nights at either Kapamba River Lodge or Thornybush Main Lodge. Each camp offers luxurious accommodations and breathtaking views of the surrounding scenery. They enjoyed thrilling morning and evening game drives and were able to see members of Africa’s Big 5 with the help of expert safari guides. Next on their African Safari Train Tour, they enjoyed magnificent views and fascinating lectures on the history of the area as their luxury train crossed through Botswana into Zimbabwe. 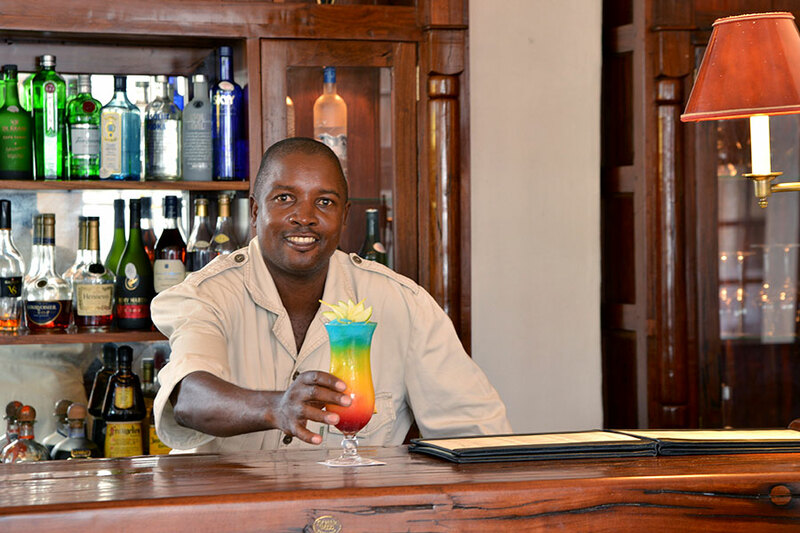 They enjoyed a sunset cruise on the Zambezi River and spent a night at Victoria Falls Hotel. 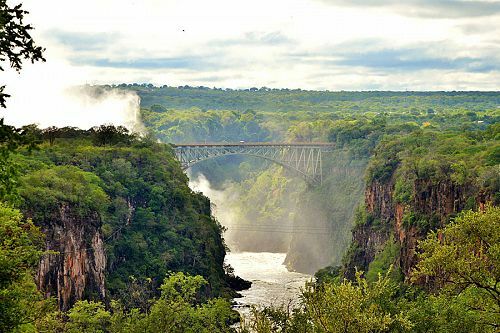 The next day, they took an unforgettable helicopter journey over Victoria Falls before boarding the Rovos Rail again in the afternoon. 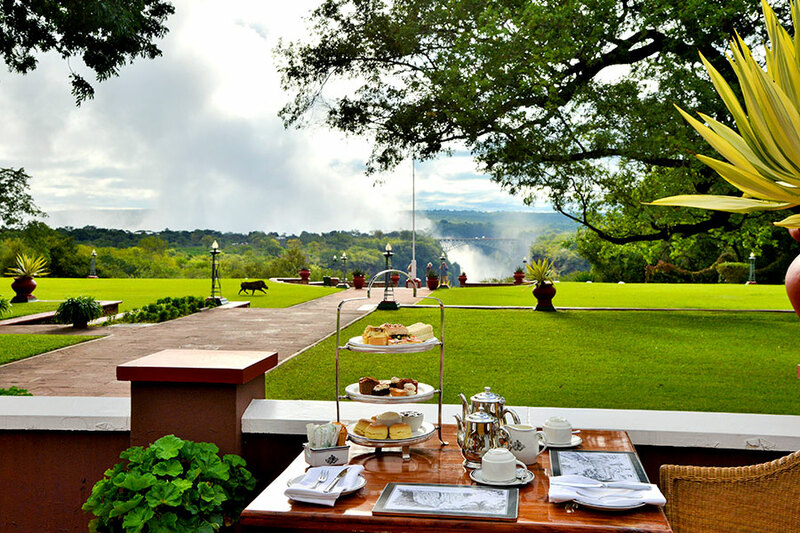 Continuing their African Safari Train Tour, they rode through Zambia, where they stopped in Kanona and enjoyed a brunch outing at Kundalila Falls. The next day, they had an intimate nature experience with a bush walk at Chishimba Falls. The train continued on through Zambia and climbed to the Tanzanian border, then descended into the Great Rift Valley, negotiating the tunnels, switchbacks, and viaducts of the spectacular escarpment. As the train climbed again to Dar es Salaam, it traversed the Selous Game Reserve—the largest game reserve on the continent and a vision of timeless Africa. 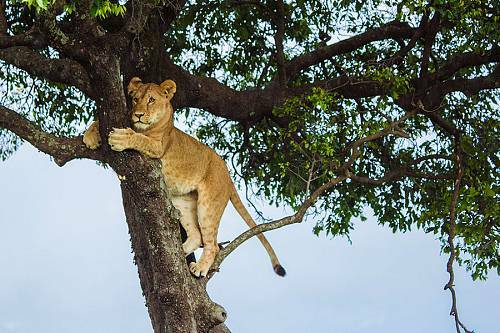 At last, they arrived in Dar es Salaam, and their South Africa Safari Train Tour came to an end. 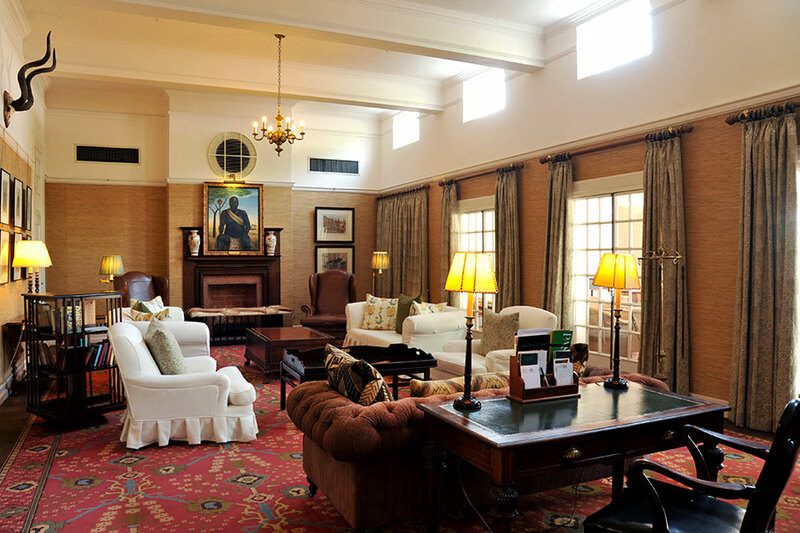 Your luxury vacation on board the Rovos Rail luxury train departs Cape Town station and sets off for Matjiesfontein, where you’ll have an opportunity to explore this quaint and timeless village before returning to the Rovos train for dinner. 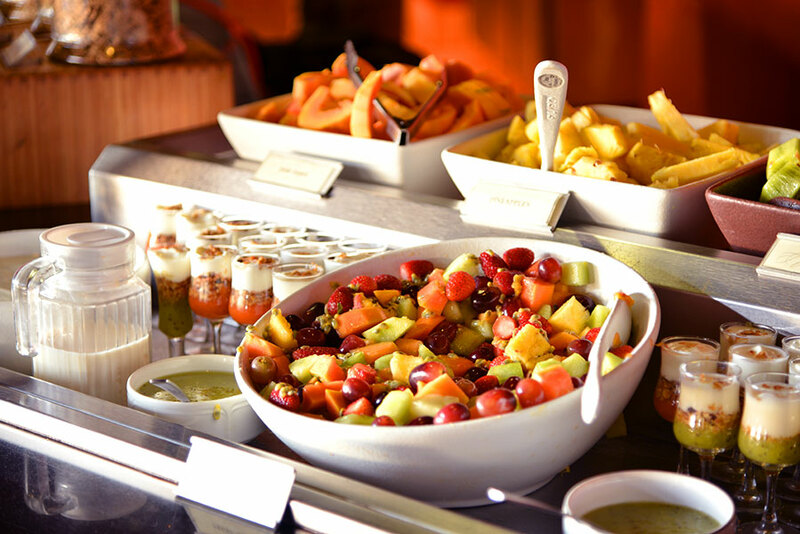 A degustation awaits you at every meal onboard the Rovos. This train owns its own railway line, stopping for a restful night’s sleep and running on its own touring schedule. 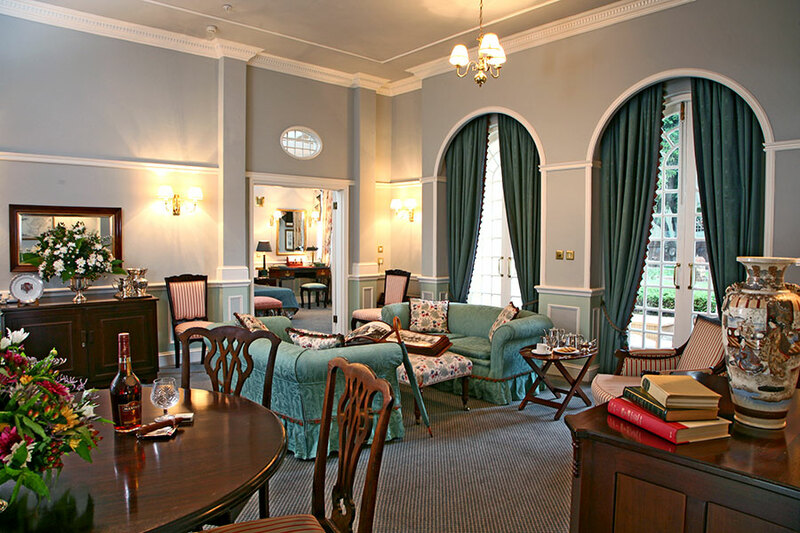 Your luxurious suite is very spacious with no detail missed. After a relaxing morning on the Rovos luxury train, enjoy a leisurely lunch as your tour approaches Kimberley, where you can visit the historic Big Hole as well as the Diamond Museum. Enjoy dinner on the luxury train as your Rovos tour continues. After dinner, join fellow passengers in the lounge cars for cognacs and live music. Breakfast may be brought to your cabin this morning. 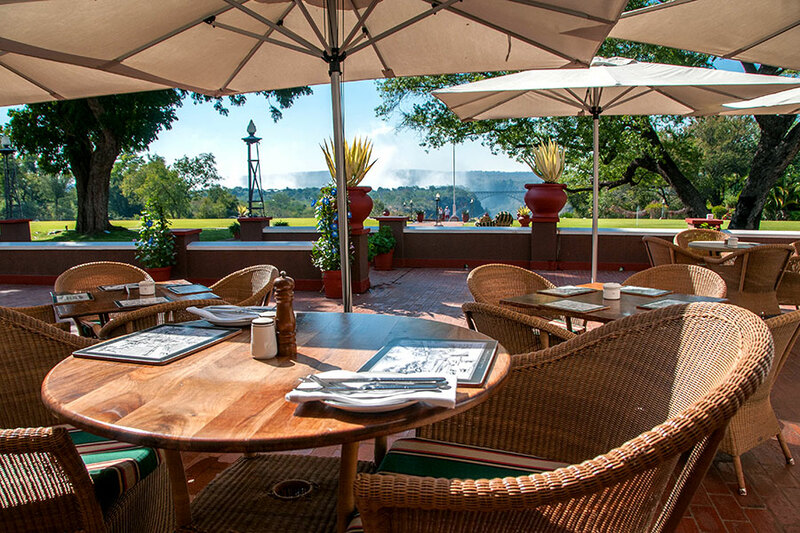 Upon arrival in Pretoria, you can enjoy a light lunch before embarking on a city tour of South Africa’s administrative capital. Your luxury train tour will arrive in Klaserie for a 2-night African safari experience at either Kapama River Lodge or Thornybush Main Lodge. During your stay, you can enjoy early morning or evening game drives, or an afternoon visit to the Wild Dog and Cheetah Project. 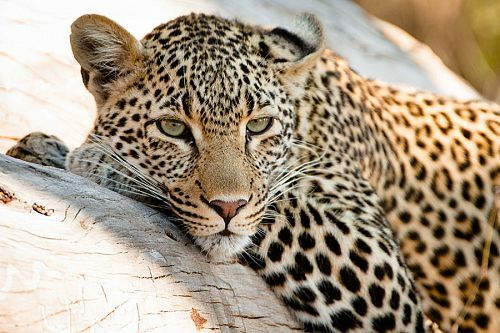 Thornybush Game Lodge offers guests a luxurious African safari experience. Rooms have wonderful scenic views over the African bush from private wooden decks. 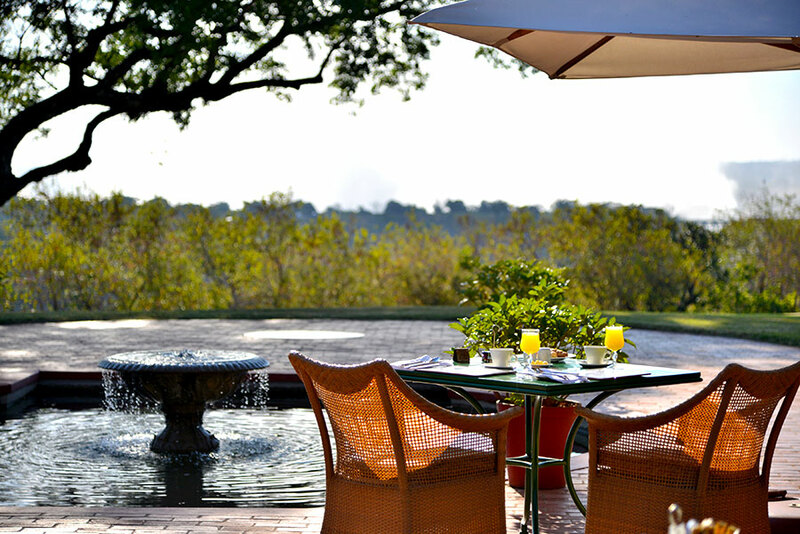 Spot African wildlife from the pool deck or look out over the seasonal Monwana River. Enjoy exciting dawn and dusk safaris in open vehicles or on foot, as well as a wonderful spa for pampering in between drives. 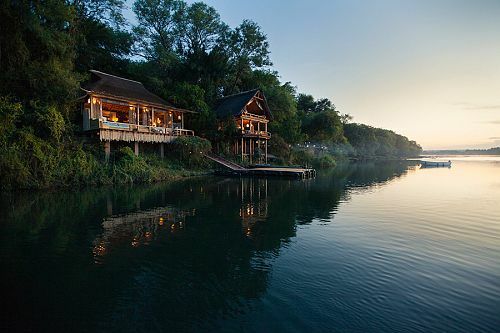 Kapama River Lodge is located just outside South Africa’s renowned Kruger National Park and offers extensive amenities and safari experiences in the park. 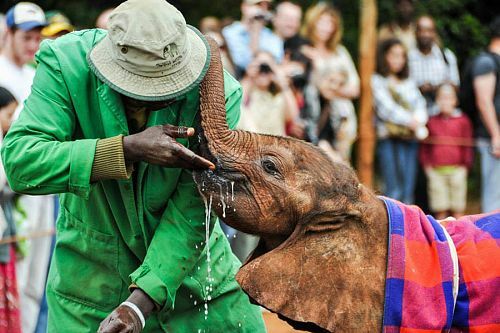 At either location, you are sure to have a truly memorable African safari experience. 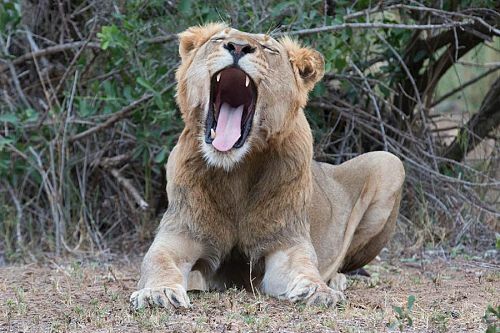 After an early morning game drive, you will be transferred to the Rovos luxury train for a midday departure. Spend the day relaxing, and drink in the dramatically changing landscapes while enjoying superb wines. This day will be spent on board the luxury train as the tour crosses over the border into Zimbabwe. You can enjoy informative morning and afternoon lectures by a historian or simply enjoy the stunning scenery. 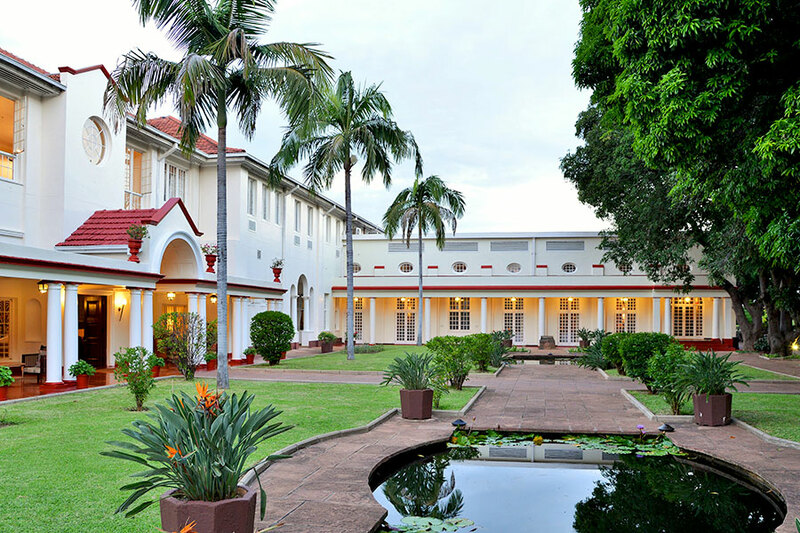 You will be transferred from the station to the luxurious Victoria Falls Hotel, located in sight of one of the Natural Wonders of the World. 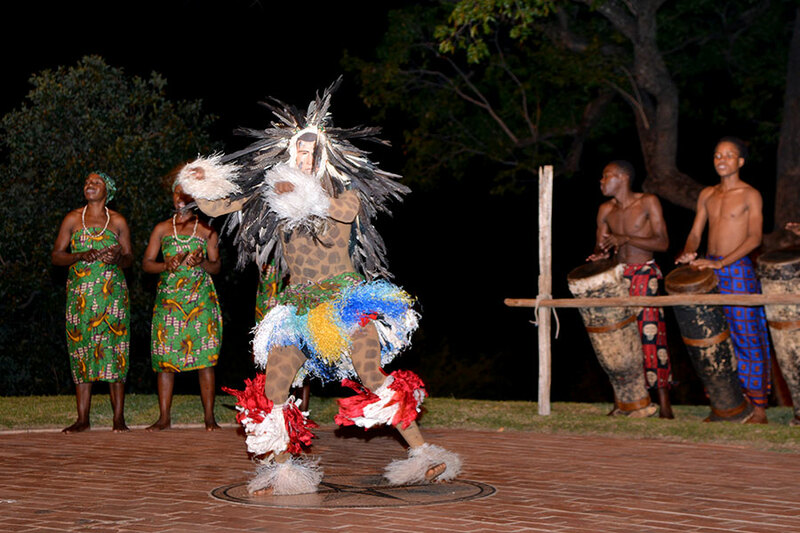 Enjoy a sunset cruise on the Zambezi River and an optional “African Spectacular Show” before dinner. 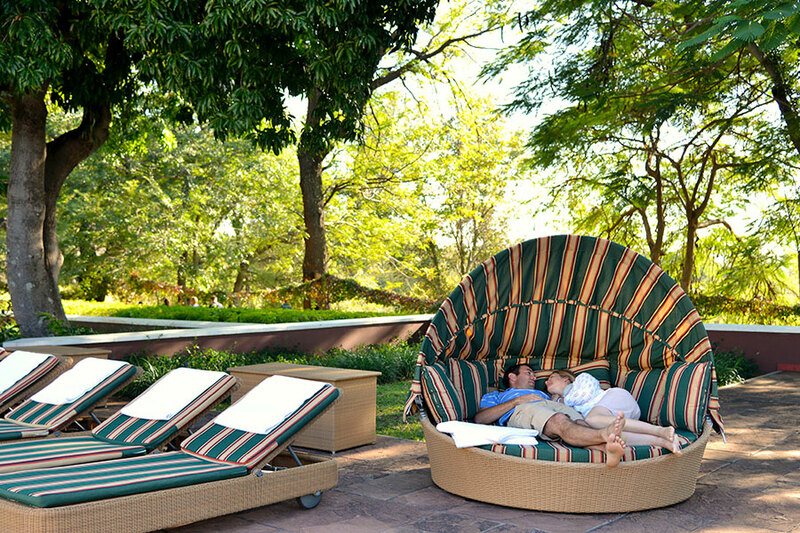 The day is yours to spend at your leisure. Alternatively, you can enjoy a tour of the magnificent Victoria Falls or see the Falls from above on a thrilling helicopter journey. The Rovos luxury train will continue its tour in the mid-afternoon, and the rest of the day is yours to spend at your leisure. 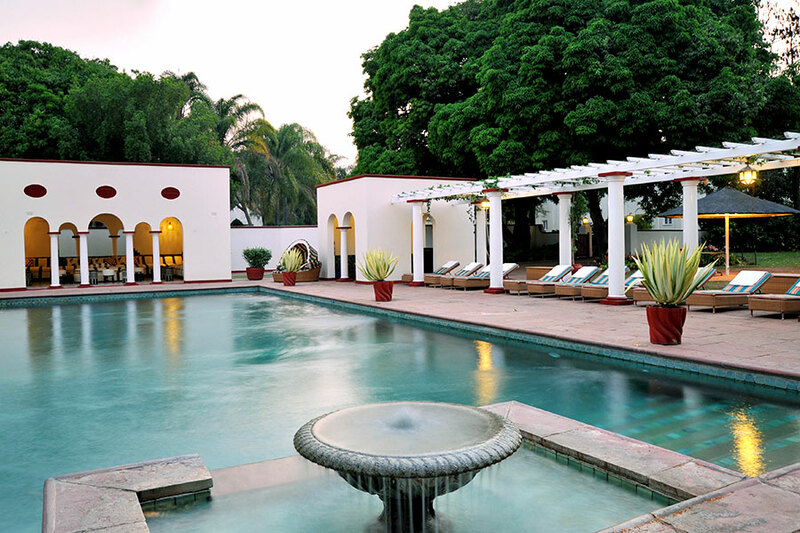 Enjoy another leisurely day on the train as you sweep through Lusaka. 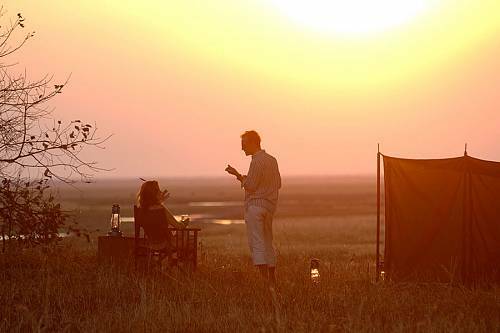 Enjoy more fascinating lectures or while away the time watching the vast African landscapes amble by. Arrive in Kanona and enjoy a brunch outing at the Kundalila Falls, then return to the train in the early afternoon. After breakfast, disembark at Kasama for a bush walk at the sacred Chishimba Falls. 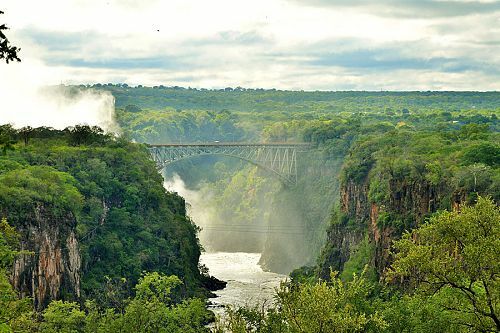 Then, enjoy a relaxing day of luxury train tourings as Rovos continues on toward the border between Zambia and Tanzania. Enjoy the spectacular scenery as your luxury train passes down the escarpment of the extraordinary Great Rift Valley, through tunnels and over viaducts. Keep your eyes open for the rich wildlife found in this magnificent valley. Enjoy a final breakfast on board Rovos as it makes its way through Kiduna on its way to Mzenga. 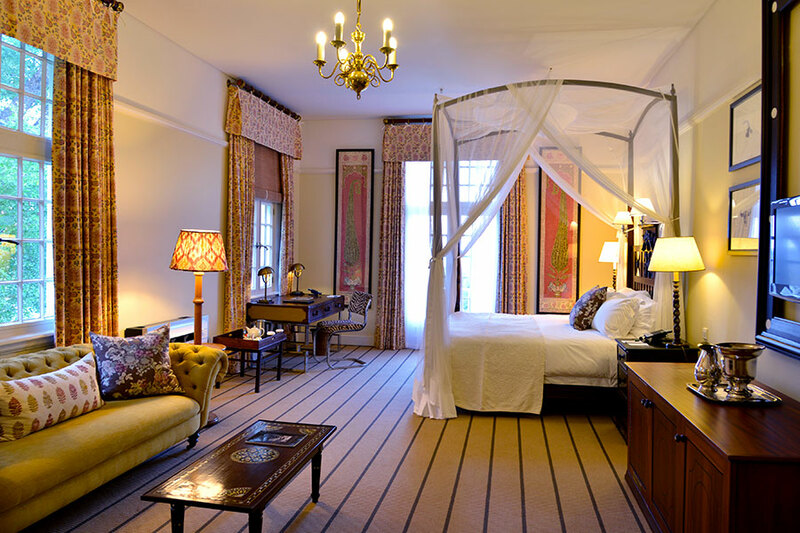 Your luxury train vacation culminates in Dar es Salaam. Make sure to pack something nice to wear in the evenings. On the Rovos Rail, people DRESS for dinner. It should also be noted that a jacket and tie are required for men.